Posted 22.08.2016 at 06:08 in blog by admin / Comments Off on Why 24 hours emergency dentist is important for you? Your teeth are an important part of your body owing to their unique structure and specialized functions for your overall health maintenance and general well-being. The outermost hard enamel surface layer of teeth is essential for the protection of underlying sensitive dentine and pulp components harboring nerves and blood vessels. This layer cannot be replaced once lost and should be protected at all costs. Know more about your Albuquerque New Mexico Emergency Dentist now. Loss of enamel layer due to dental decay, trauma, injuries, falls, biting on hard foods or following gum diseases necessitates an emergency dental consultation visit to your 24 hours emergency dentist Dr William C Gardner at NM Family and Cosmetic Dentistry PC. Breached enamel layer can progress to extremely painful situations if not treated at an early stage. Toothache has been considered among the worst pain scenarios and must be dealt with as early as possible. You need to see your dentist immediately. Failing to do so can worsen your study timetable or working schedule in the office for several days. It may occur at any time within the day or night and availability of a 24 emergency dentist is of utmost importance for relieving your pain and providing you comfort. You need to understand the seriousness of various dental emergencies which often take place at home, in school, during working hours and on holidays which require immediate treatment by your dental health care provider. Know more about your Albuquerque New Mexico Emergency Dentist now. Immediately bring your child to your emergency dentist for permanent placement of knocked out tooth within the socket and further treatment care of tooth and adjacent gums.Know more about your Albuquerque New Mexico Emergency Dentist now. Dental decay can lead to development of severe pain when it involves the sensitive dentin and pulp tissues. Hypersensitivity may become so severe that you cannot sleep at night. Advanced dental disease can cause increased pain due to irreversible pulpitis when you lie down for sleep at night. Such a situation requires emergency dental care even at 02:00 am in the morning. 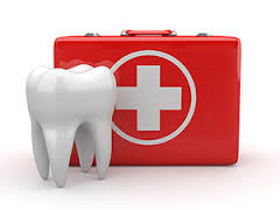 You need to rush to your 24 hours emergency dentist Dr William C Gardner. Rush for relief of hypersensitivity or irreversible pulpitis through root canal treatment procedures. If this treatment is delayed, it may lead to accumulation of pus within your tooth and formation of dangerous tooth abscesses which requires immediate incison & drainage of pus followed by root canal treatment or removal of tooth. An abscess can spread to the spaces within your face leading to breathing difficulties. It can cause death due to airway blockage. It can spread to brain and heart causing infections.Know more about your Albuquerque New Mexico Emergency Dentist now. Biting on hard foods, fruit seeds and opening bottle corks with teeth can cause enamel cracks and cusp fractures in your teeth. Severe tooth injury can lead to cracked teeth causing unbearable pain on chewing, biting and even on light tooth contacts. It may occur on Sundays during weekend parties or in a night club late at night. And warrants immediate dental treatment care. Delayed dental check up in this situation may lead to severe psychological trauma. This is due to shocking pain and can cause permanent tooth loss. Your emergency dentist has the ultimate solution to this problem 24 hours a day. Slight chipping of front teeth due to minor injuries can compromise your smile profile. You may lose confidence during an interview or presentation. Immediate visit to your emergency dentist can bring your smile back with the help of tooth colored fillings. Dental emergencies need immediate care. 24 hours emergency dentist Dr William C Gardner at NM Family and Cosmetic Dentistry PC is available throughout day and night and focuses upon best solution for improving your teeth.